Does someone want to go with you every time you leave the house? And have they been a good boy or girl?!? Then take them to Pup’s Paw-tio every Wednesday in September! A pup friendly event on the patio of On Tap Bar and Restaurant in Latham for some k-9 fun including a puppy pool and a special puppy menu. Reward your favorite 4-legged friend with a treat off our dog friendly menu featuring: plain grilled chicken with brown rice, slider patty with brown rice, plain brown rice, frozen carrots and ice cream! Plus our friends from the Mohawk Hudson Humane Society will be there and pop-up shops from Marissa's Pawsome Treats & Pawjackers Dog Treats! 3. Please don’t let your furry family members eat off your plate, or drink from your glass. 4. Puppy Restrooms are located on the grassy area outside the patio. Waste-cans available for disposal. 6. In the event your dog has an accident, please notify staff immediately so we can so we can help you clean it up properly. Pup’s Paw-tio has a zero tolerance aggression policy. 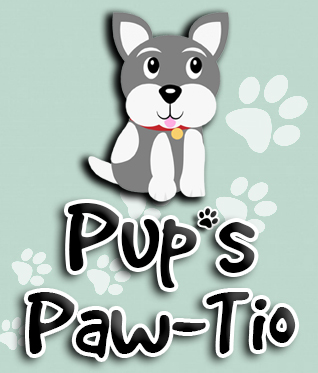 WE HOPE YOU ENJOY PUP’s PAW-TIO! !